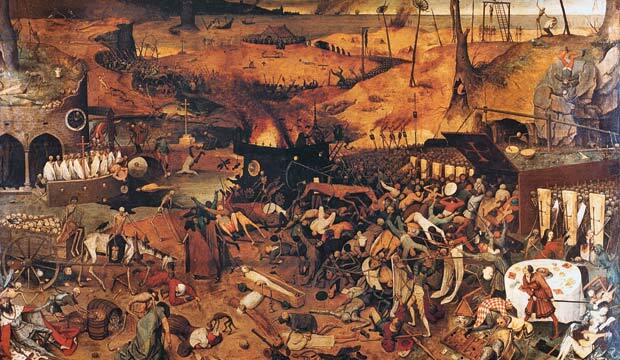 Home > Stat > Black Death: What Caused the Plague? Black Death: What Caused the Plague? Scientists say they’ve confirmed the bacteria behind the pestilence that killed millions in Europe in the Middle Ages. IN PIETER BRUEGEL’S CHILLING “The Triumph of Death,” painted circa 1562, skeleton armies march across the land, sparing neither peasant nor prince from the plague that killed millions in medieval Europe. By analyzing DNA and proteins in victims exhumed from mass graves, researchers recently confirmed that the bacterium Yersinia pestis caused the Black Death. Other researchers studied the genetics of Y. pestis strains around the world to find that it originated in Central Asia, then made its way to Europe via flea-infested rats traveling along the Silk Road. The use of 3-D models to track a patient’s pain has roots in a sixteenth-century sketch by a German master.